WORLD PREMIERE! 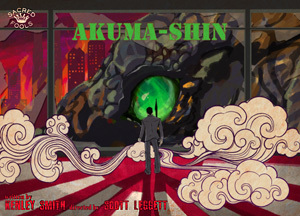 In 1956, a giant kaiju (monster) destroys Tokyo and sends seismic waves of fear, anger and ignorance through generations. Facts are questioned, history is alternatively written and modern politics is set against primal religion in this ferociously civilized cautionary tale of two nations coping with their own damaged legacies. Can humanity reckon with the monsters that rise against us, the ones that live within us all? Sometimes the end of the world isn't the end of the world. 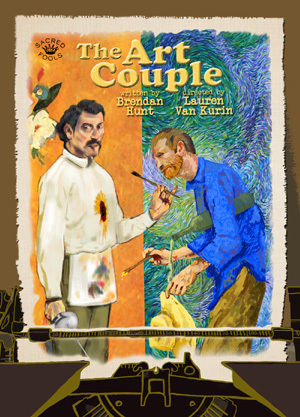 She's a philanthropist trapped in a loveless marriage; he's an amateur astronomer trapped in a tax office. But he has a secret: the earth is shortly going to be destroyed by an asteroid. So what the heck, let's fall in love and grab life by the throat while we still can. Will Mabel and Arthur find meaning in their lives just as they are to be cut short? But what if he's wrong and the planet keeps spinning? That really would be the end of the world. This charming original musical by Zachary Bernstein explores love, backyards, and tax deductions. 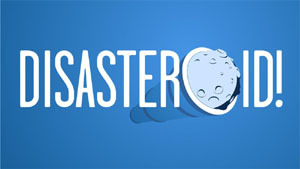 Disasteroid! performs in the Broadwater Black Box. A SERIALIZED SHOWDOWN FOR CASH PRIZES AND MORE! Another year of serialized storytelling culminates as this season's sixteen most popular storylines go head to head in a weekly elimination round. Only the last two serials left standing will get to finish their stories... and win cash prizes! Performing this week in the Broadwater Black Box. 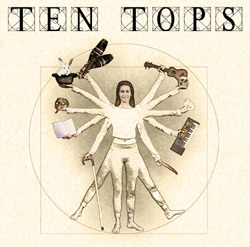 Optional theme for tonight's performance: "Making Sense (Out of Nothing at All)"
Ten Tops performs in the Broadwater Black Box. Performing this week on the Broadwater Mainstage. After the success of their past Fringe shows, Sacred Fools is producing a late-night monthly with Joe & Joshua! The duo have been performing together for years and now they finally have a home where you can catch them every single month! This Friday night, join the guys as they welcome special guest Ross Bryant, a Second City alum, recognized by Rolling Stone Magazine as being on the short-list for "Saturday Night Live!"